For your summer BBQ’s and social time with friends, whip up these tasty burgers in no time and with no fuss. Your guests will be impressed by their gourmet taste! Finely chop (or lightly process in a blender) onion, garlic, apple. Add salt, thyme, mustard. Sauté in oil for 10 minutes or until soft. Let cool. Lightly mix ground turkey with cooled mixture. Form into 6 patties. 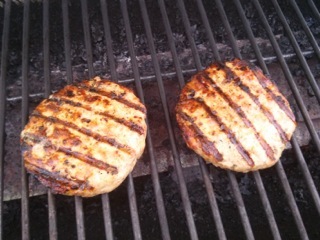 Grill on medium for 5 to 7 minutes on each side or until no longer pink inside.